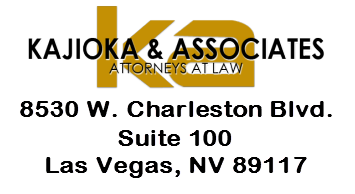 At Kajioka & Associates, Attorneys at Law, our Las Vegas criminal law attorneys have more than 30 years of combined experience working in criminal law, personal injury and business law. – Drug trafficking: This serious offense carries a mandatory prison sentence. 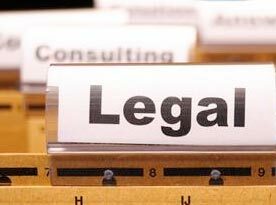 Our Nevada lawyers can help minimize the impact to your record and reputation while protecting your rights. – Possession of controlled substance: Police officers have been known to perform illegal searches. If you have been arrested for possession it is important to know your rights. – Possession with intent to distribute: Many different circumstances play into this charge. It is important to have an aggressive and thorough lawyer at your side, digging through the details of the accusation, keeping your rights protected throughout the process. – Marijuana charges: Because medicinal marijuana is legal in Nevada, the lines are blurry for residents and visitors. While medicinal marijuana is legal, obtaining marijuana remains unlawful in Nevada. 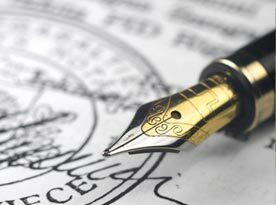 Our attorneys have ample experience with this area of law. – Nightclub/day club arrests: Many tourists find themselves subject to these arrests. Police and gaming commissioners are cracking down on searching, arresting and prosecuting anyone participating in illegal activities while partying in one of Las Vegas’ nightclubs and/or day clubs (pool parties). Our lawyers can represent you, even if you live out of town, appearing on your behalf in court. – DUI: Whether you have been accused of being under the influence of drugs or alcohol, the impacts are far reaching. 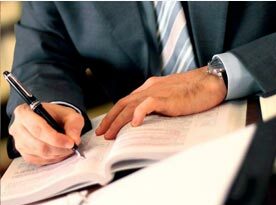 Retaining an experienced, knowledgeable attorney is directly related to the best possible outcome for your case. After an accident of any kind, large or small, the physical impacts and financial costs can last for a lifetime. It is important to get the best possible compensation for you and your loved ones. At Kajioka & Associates, Attorneys at Law, we work closely with our clients, taking over the communication between the other party and insurance company, so that you can take the time you need to focus on healing. When engaging in business and corporate law, forming, buying or selling a business, the lawyer you select should be just as driven and excited as you, if not more so. At our law firm, we stand by our clients’ sides from start to finish, in an effort to assure the success of each business with which we work. 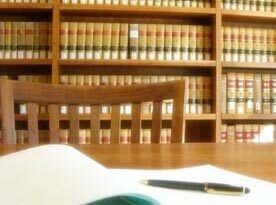 We are proud to represent our clients in their criminal law case, personal injury case or a business law transaction with a high level of service. You can call any time day or night, and we will visit your home or the hospital as needed. To learn more about how we can help, contact us or call 702-776-7676.